Paul Francis Sullivan (please call him Sully) does a podcast 365 days a year – unless it is a leap year – then he will do another 1. He has done a show everyday since Oct.24/2012. This to date represents a streak of 1219 days consecutively! Past the CLICK TO READ THE REST OF THIS ENTRY are episodes 221 – 250 of the Sully Baseball Daily Podcast. 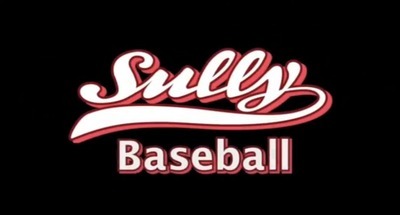 Full Sully Baseball (Approximately 20 Minutes each) Daily Archives June 1, 2013 – June 30, 2013. The Blue Jays need to get their act together, the Padres should let people in for free and Bruce Bochy should win manager of the year. CC Sabathia, Chris Dickerson, Jonathan LuCroy and Johnny Cueto all owned baseball on May 30, 2013. Today’s edition of The Sully Baseball Daily Podcast was recorded at Trader Joe’s before the huge crowds arrive. While shopping, I gloated about the Red Sox spanking of the Yankees and the misfortune of the Bronx Bombers AND the Angels. Adam Wainwright, Paul Goldschmidt, Ubaldo Jimenez and Ryan Doumit all owned baseball on June 1, 2013. Writer Kenny Mack joins the podcast on the phone as he and Sully discuss the surprising Red Sox season and anything else that pops into their heads. I take a look at the Angels and the Cardinals. The Angels may have hit rock bottom. And Albert Pujols arrival in Anaheim and what the Cardinals got as compensation illustrates the difference between the two franchises. Bronson Arroyo, Coco Crisp, Erik Bedard and Yasiel Puig (in his big league debut!) all owned baseball on June 3, 2013. I look at the Biogenesis scandal that is rocking baseball. And by “rocking baseball” I mean a “lame non story filled with stuff we already know. Prince Fielder, David Phelps, Josh Collmenter and Yasiel Puig (second in as many games in the majors!) all owned baseball on June 4, 2013. I talk to my dear friend Anna about her trip to Miller Park to see the Brewers play her beloved Oakland A’s. Listen to the podcast and learn about a unicorn backpack and a certain dish at Miller Park called THE BEAST! Carlos Gonzalez, R.A. Dickey, Julio Teheran and Kyle Seager (who did something NEVER done before in the history of Major League Baseball!) all owned baseball on June 5, 2013.
he Sully Baseball Daily Podcast takes a look at the first round of the draft. But I also look at the draft of 10 years ago and examine how little we really know about which players will be any good. Zack Greinke, Max Scherzer, Adam Rosales and Yasiel Puig (listed here 3 out of his 4 games!) all owned baseball on June 6, 2013. Ken “Hawk” Harrelson is a shameless homer as an announcer. Why is that a bad thing? Also I offer a solution for the Cardinals to use their young pitchers and have them fresh for the post season. Paul Goldschmidt, Francisco Liriano, Chris Archer and Josh Donaldson all owned baseball on June 7, 2013. My wife and I discussed double headers and extra innings games. Somehow the TV show Friday Night Lights and the movie Grease 2 made it into the conversation. Mike Trout, Kyle Blanks, John Danks and Kevin Slowey all owned baseball on June 8, 2013. 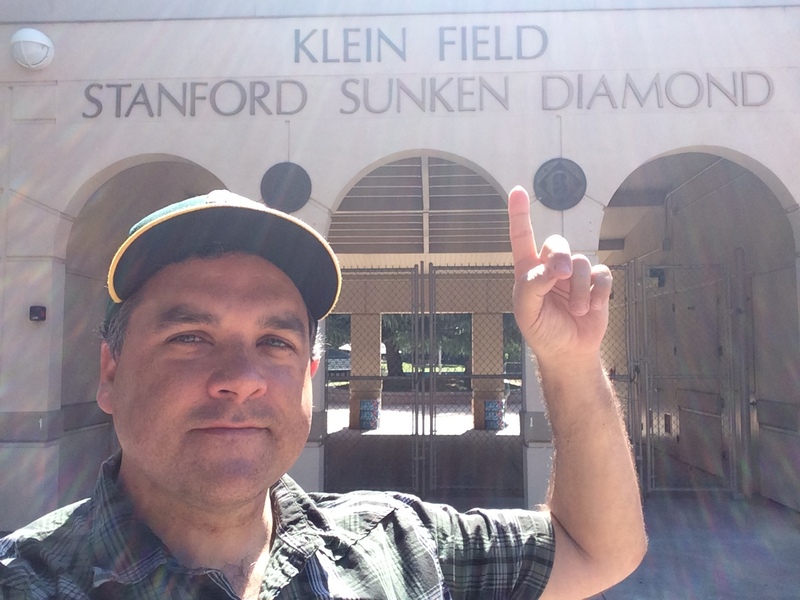 Jeff Polman, the creator of Dear Hank ( http://dearhank.wordpress.com/ ) joined The Sully Baseball Daily Podcast to discuss his new project involving an alternate 1938 season. Dexter Fowler, Jordan Zimmermann, David Phelps and Jarrod Saltalamacchia all owned baseball on June 9, 2013. The Hall of Fame resume of Andy Pettitte is the topic for today’s episode. Here is the link for the article from Was Watching. Brandon Phillips, Adam Dunn, Yovani Gallardo and Jeremy Guthrie all owned baseball on June 10, 2013. What should the Giants do with Tim Lincecum? They need to do SOMETHING. Meanwhile the Dodgers and the Diamondbacks had a brawl. Who cares? Brawls stink. Tyler Colvin, Corey Kluber, Desmond Jennings and Andrew Cashner all owned baseball on June 11, 2013. Why??? Why are the Tigers still using Jose Valverde as their closer? Why is baseball starting next season in Australia? WHY?? How bad has the Yankees offense been lately? Worse than you probably realize. 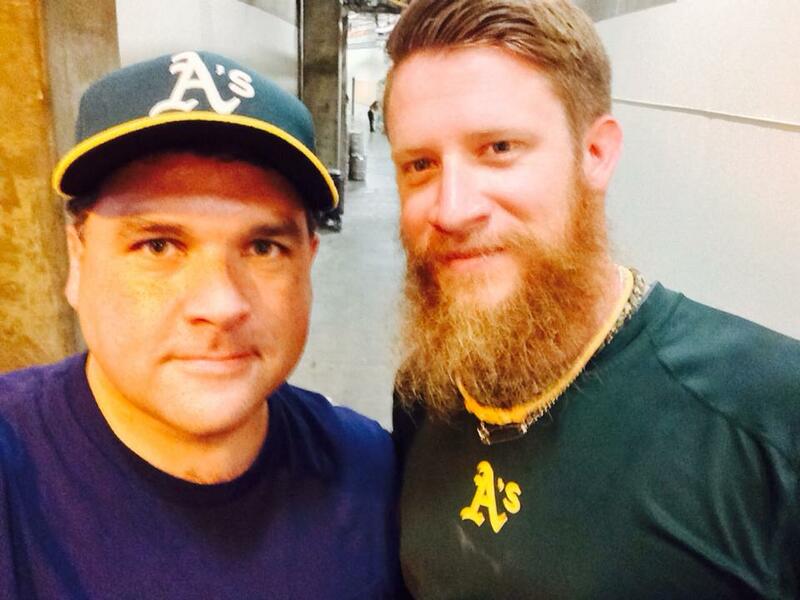 How good have the A’s been for the last 162 games? A lot better than you probably realize. Chris Davis, Ben Revere, Matt Cain and Adam Warren all owned baseball on June 13, 2013. David Cameron’s article on Fangraphs can be found HERE. The Mets are in a free fall and unlike the Marlins and the Astros, they don’t seem to have a plan either. How much can be blamed on Las Vegas? Eric Stults, Gregor Blanco, Justin Masterson and Billy Butler all owned baseball on June 14, 2013. While at the Genius Bar at the Apple Store, I observed people using tablets, devices and iPhones. And I didn’t just see the future of technology. I saw the future of baseball. Howie Kendrick, Felix Hernandez, Anthony Rendon and Clayton Kershaw all owned baseball on June 15, 2013. Today’s episode of The Sully Baseball Daily Podcast was recorded at the San Diego Zoo Safari Park. I examine baseball team names and wonder why there is a team called the cheetahs. I also try to figure out who will be the first native of Africa to play in the majors. And part of the podcast was recorded on a hot air balloon. Ricky Nolasco, Josh Reddick, Corey Kluber and Kirk Nieuwenhuis all owned baseball on June 15, 2013. I look at the Red Sox, Yankees and Mets. There is reason for legit dread with all three teams. However, the Mets do have a slight silver lining on its way. Josh Johnson, Giancarlo Stanton, Nelson Cruz and hard luck loser Dillon Gee all owned baseball on June 17, 2013. A long car trip turned into a fantasy baseball discussion with my wife. Felix Doubront, Matt Dominguez, Brandon Belt and Matt Harvey all owned baseball on June 87, 2013. We discuss Yasiel Puig, who wants to play in the All Star Game. Doing that would make the midsummer classic fun and relevant. So therefore it will never happen..
Gio Gonzalez, Chris Davis, C.J. Wilson and Yasiel Puig all owned baseball on June 19, 2013. Will Miami ever become a baseball town? Not if their fans keep clinging to the past. And what should the Yankees do with Robinson Cano? Pedro Alvarez, Jordan Zimmermann, Evan Longoria and John Lackey all owned baseball on June 20, 2013. The legacies of Tom Seaver, Grover Cleveland Alexander and Bobby Cox and the existence of the Minnesota Twins all had significant mile stones on this date over the years. Paul Goldschmidt, Shane Victorino, and Stephen Strasburg all owned baseball on June 21, 2013. My take on the 2013 Cincinnati Reds For the Sunday Request. Chein-Ming Wang, Zack Grienke, Victor Martinez and Ryan Howard all owned baseball on June 22, 2013. I talk about the Blue Jays winning streak, instant replay and cheating death. Matt Harvey, Edwin Encarnacion, Justin Ruggiano and Joe Blanton all owned baseball on June 23, 2013. Should fans combine their love for a team with the need to heal from a tragedy? Some fans do. Others don’t. And both sides should respect the other. Yasiel Puig, Jeremy Hellickson, Cliff Lee and Michael Brantley all owned baseball on June 24, 2013. In a day full of controversies, what better time to talk about the latest A-Rod episode? I couldn’t determine which American League pitcher owned baseball. Was it R. A. Dickey and his 2 hit shutout? Or A. J. Griffin and HIS 2 hit shutout. I spent the episode trying to make a decision. Clayton Kershaw, Jordy Mercer, Alex Gordon and either R. A. Dickey or A. J. Griffin all owned baseball on June 26, 2013. Today on the Sully Baseball Daily Podcast, I take a good hard long look at the Arizona Diamondbacks and wonder why we always underestimate those sneaky snakes from the desert. By the way, this was recorded in a car wash. No I’m serious. It was. Derek Holland, Patrick Corbin, Mike Trout and Marlon Byrd all owned baseball on June 27, 2013. I look at the Pirates and wonder if THIS year they can get over .500. They are only 33 wins from that. They collapsed in 2011 and 2012. Maybe they will avoid a collapse this year. Miguel Cabrera, Bartolo Colon, Delmon Young and hard luck Matt Harvey all owned baseball on June 28, 2013. I do a show whose topic was requested by a listener via Twitter. Today’s topic was from @ceekim . What is the worst statistic in baseball? Anyone expecting me to be trashing WAR in this podcast might be surprised. Adam Wainwright, Chris Davis, Joe Blanton and Alfonso Soriano all owned baseball on June 29, 2013. Posted on February 26, 2016, in 'SullyMetrics', MLB Podcast Network and tagged A.J. Griffin, adam rosales, adam wainwright, adam warren, albert pujols, alex gordon, alfonso soriano, Andrew Cashner, andy pettitte, anthony rendon, bartolo colon, ben revere, billy butler, Biogenesis Scandal, Bobby Cox, boston red sox, brandon belt, brandon phillips, buster posey, c.j. wilson, carlos gonzalez, cc sabathia, chris archer, chris davis, chris dickerson, cincinnati reds, clayton kershaw, cliff lee, coco crisp, Corey Kluber, Dan Reed, david phelps, Dear hank, delmon young, Derek Holland, desmond jennings, detroit tigers, Dexter Fowler, dickey, dillon gee, edwin encarnacion, eric stults, erik bedard, evan longoria, Felix Doubront, felix hernandez, francisco liriano, gio gonzalez, grover cleveland, houston astros, howie kendrick, itunes, jarrod saltalamacchia, Jeff Polman, Jeremy guthrie, jeremy hellickson, joe blanton, john danks, john lackey, johnny cueto, jonathan lucroy, jordan zimmermann, Jordy Mercer, jose valverde, josh collmenter, josh donaldson, josh johnson, josh reddick, julio teheran, justin masterson, justin ruggiano, ken harrelson, kenny mack, kevin slowey, kirk nieuwenhuis, kyle blanks, kyle seager, marlon byrd, matt cain, matt dominguez, matt harvey, max scherzer, michael brantley, miguel cabrera, Mike silva, Mike Trout, nelson cruz, new york mets, new york yankees, Patrick Corbin, Paul Francis Sullivan, pedro alvarez, prince fielder, R.A, r.a. dickey, ricky nolasco, robinson cano, ryan doumit, ryan howard, san diego padres, shane victorino, soundcloud, stephen strasburg, sully baseball daily, tim lincecum, tyler colvin, ubaldo jimenez, victor martinez, yasiel puig, yovani gallardo, zack greinke. Bookmark the permalink. Leave a comment.